Home » Divination » What Is The Difference Between Black Magic & White Magic? The popular belief that magic resides on a scale of black and white has roots in many different folktales and systems. What’s the real deal with it? To understand the concept of black magic versus white magic, let us take an example. Imagine that in your hand you have a box of matches. Those matches burn with heat and light when struck, and are basically the essence of fire. They are easy to strike, and are available to anyone who wants them. You give a match to one child, and he uses it to light a lamp that hangs above the door of an inn. The lamp brightens the path and the doorstep, and invites weary travelers inside to rest. Another match you give to another child, and he uses it to light a stove that cooks his dinner in his house, alone. Yet another match you give to another child, and he uses it to set fire to his neighbour’s farm, razing his crops to the ground. Still another match you give to one last child, and he uses it to light the campfire of an outpost, to keep others warm before going along his way. The first match was used simply as a means of making something available to anyone. It was used in a sense of neither good will nor ill intent. The second match was used in an act of self-service, that benefited the boy himself but nobody else. The third match was used in malice, and resulted in great unhappiness and strife. The fourth match was used in an act of pure selflessness, expecting nothing in return for a little kindness to someone who needed it. Can the second or third matches be said to have been evil? Can the first and fourth be said to have been good? No, they are just matches. They are merely tools, which cannot embody any ideal. It is the intent of the user that imbues them with an alignment, gives them value in any scale. Magic is the exact same – there is neither good nor evil magick, neither black nor white. 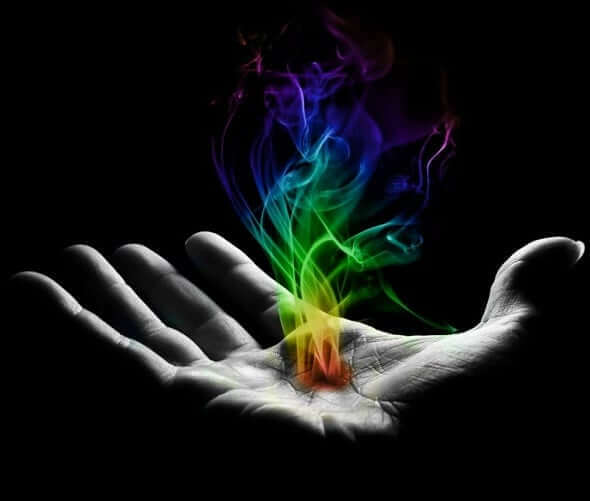 The magick is merely the energy that the magician uses to shape their world. It is their intent, their desires that colour the individual spells and their own hearts. Nobody can say that your magic is black or white, because magic is neither and both – it is purely neutral in nature, just like a match. It is up to you to decide what to do with it.